After Lillie’s mom and dad dropped her off last Wednesday night, we went out in the backyard where she announced her presence with such authority I just knew that to me, she would forever be Lillie LaLoosh. My friends adopted her from Saving Grace Animal Rescue. She seems to have some Tibetan Spaniel (Tibbie) in her, but her snout is longer, she’s taller and she weighs about 3 times what an average Tibbie normally weighs. 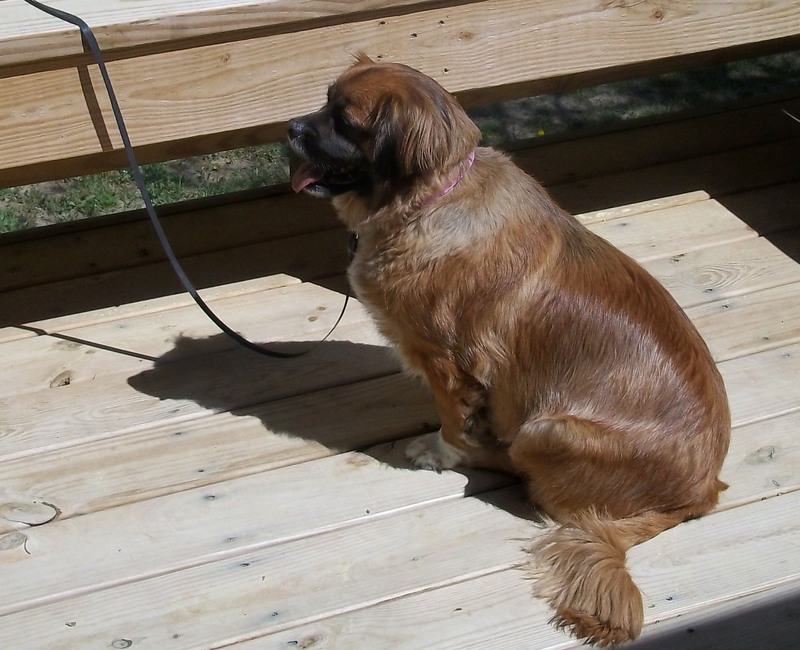 Lillie after a walk on a gorgeous day! Ms. Lillie packs some heft when she jumps up to slap you slightly above the knee in her idea of a double high five. She likes to run and chase birds and I had a time controlling her on a retractable leash. The leash issue was more my fault, I didn’t really know how to work it properly and when she pulled, I instinctively choked up on the leash and wrapped it around my wrist. I could usually get Dudley and Zoe under control that way on a regular leash, but Lillie kept running. She seemed pretty ticked when birds could fly away from her which helped me because she at least stopped running long enough where I could untangle my wrist from the leash and get the leash at a more controllable length. UNC v NCSU, always an ACC rivalry! I had Lillie for five days and nights while her human parents went to New Orleans. After she announced herself to the neighborhood (which is full of other dogs) we went inside and snuggled on the couch with a glass of wine. 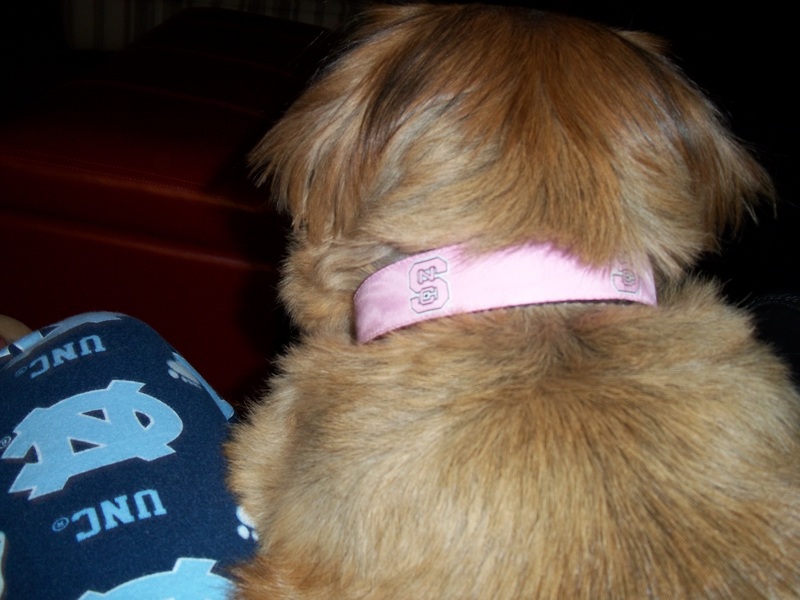 Lillie sports an NCSU Wolfpack Live Pink collar, while I had donned my UNC jammies. We quickly got past the Carolina/State rivalry since basketball season is over. Lillie is a very social dog and wants to be around people, but she always waited until she was invited to jump up on the couch or the bed. Well, except for the morning I was putting clean sheets back on the bed. She jumped up as I was getting ready to put on the fitted sheet and looked at me like I lost my mind when I told her to get down. She reminded me of Zoe who used to do that nearly every Sunday morning, only difference was Zoe would snort in utter disgust and give me the stink eye until I had the bed made and she could get back on the bed. I don’t think Lillie quite has the stink eye thing down yet. Can this sweet face give anyone the stink eye? Thanks to Kelley Chisholm for the photo! Lillie is the first dog I’ve seen who will chew on an elk antler. I brought one home for Dudley once and gave me a look that said, “Boring! Why would you think I would want to chew on something that has not been dipped in some yummy flavor or contained some yummy marrow?” Next time we’ll talk about Lillie’s adventures in the neighborhood and why next door neighbors Bourban and Kenzie lost their backyard privleges for the day. 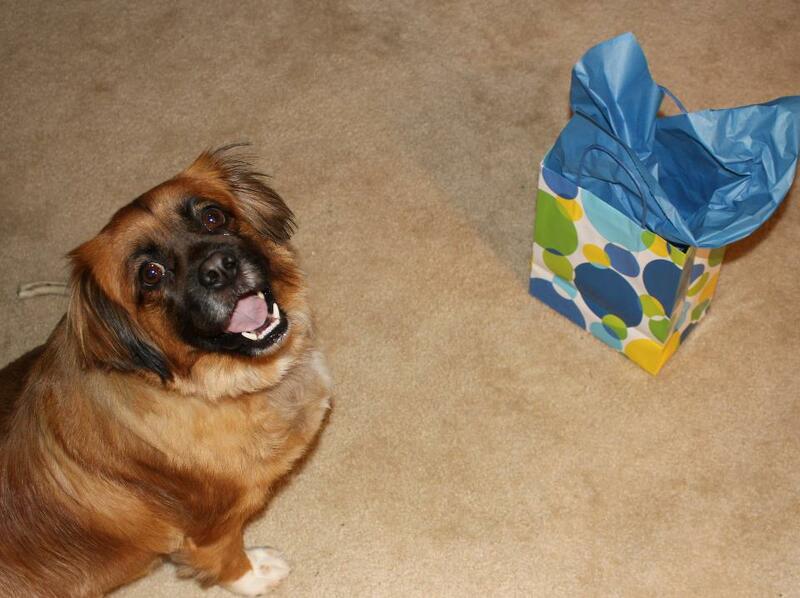 This entry was posted in Uncategorized and tagged animals, Bull Durham, canine, dogs, Dudley, Saving Grace Animal Rescue, Zoe. Bookmark the permalink. Love this post, but as Lillie’s mom I am biased! Can’t wait to read about Lillie’s adventures in the neighborhood. She looks so much like my mommy’s first dog, Sheffield. Sounds like she made herself completely at home. Good for her! Thanks so much for stopping by! I agree, she’s too cute for a stink-eye, but I thought Zoe Girl was too cute and she could shoot you a look of utter disgust!